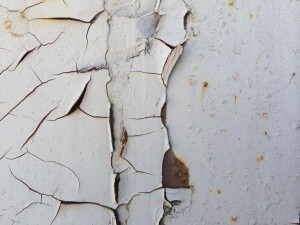 When steel corrodes, the rust that causes it is commonly referred to as a ‘steels cancer’. When you see the damage it causes you can understand how it picked up this nickname. Thankfully there is now a product on the market that has been created to solve this age old problem, not only for the home but for industrial use too! Rust Bullet is a rust paint product that takes only two coats to ensure the rust is kept at bay. Unlike other applications it is not a fix that is only meant for the short term and reapplication, it actually cures rust! A recent report showed that the cost of damage caused by rust to public buildings and structures amounts to $276 billion each and every year! This staggering amount is only part of the cost to the general public as there are also indirect costs that are said to be around the same! The costs that are incurred indirectly are those that are through delays in being able to tackle the problem in time, failure to do it properly leading to more work being undertaken and litigation. These costs were not picked up on by the studies because it is usually the owner that foots the bill for costs that are direct. · Ensure management strategies and the regulations and policies that cover those strategies to save money on the effects of corrosion. It is already known that there is a great impact of metallic structures being damaged by corrosion in America including the transporting methods of new and old materials, the production and of course the manufacturing process. Back in the mid 1970’s it was thought that the cost of corrosive damage totalled $70 billion per annum. With more and more metal structures being erected we have now shown that this has risen considerably. America is not the only country to be taking measures to reduce the cost of corrosive damage. Although there are new technologies constantly being developed Rust Bullet already has the answer so a lot of money has and continues to be wasted looking for an answer that is already there. Unfortunately the most cost effective ways of managing rust and the corrosion that develops with it are not usually applied, costing the general public billions each and every year. Each person involved in maintaining the building can put preventative and restorative measures in place early to prevent the problem getting out of hand.